Even the best bank in Ireland is charging you way over the odds for basic services. It’s well documented that Irish people and businesses pay more and get less from their banks, compared to other European countries. (Take a look here, here and here for evidence). But now we know that Sparkasse, a major German bank, is driving the creation of a new mortgage-lender in Ireland. These would be community-based non-profit lenders. If that works, there will be almost nothing you can’t do more easily, cheaper or with better technology by avoiding Irish banks. The days of a one-size-fits-all approach to your finances are gone. And that’s bad news for the banks. Here’s Moneycube’s list of alternatives. 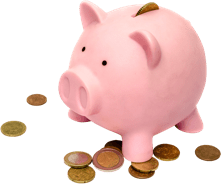 You’ll get a better online experience, a clear deal on fees – or maybe no fees – and have the pleasure of backing people who are trying to change things in the fusty Irish banking scene. Got additions to the list? We’d love to hear your suggestions. N26 is leading the charge here. The German bank offers a free current account with free bank transfers, and up to five free ATM withdrawals per month. You operate your account completely through your phone, including some smart technology for the initial ID checks. 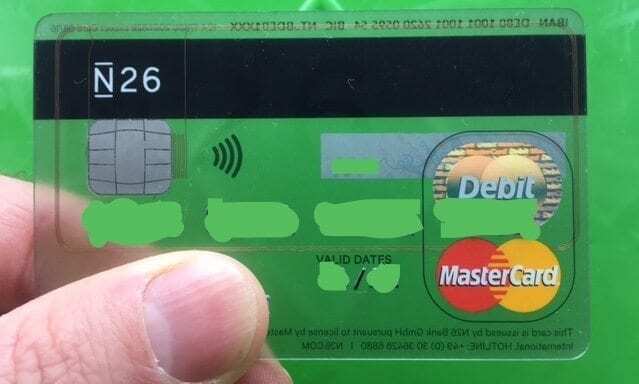 Right now, N26 even subsidizes Government stamp duty on bank cards for its Irish customers. Markets such as Ireland where you have traditional slow-moving players, relatively poor online offerings and high fees are where we find it very easy to get sign-ups. And more options are on the way – for example, UK-based Starling Bank announced in June that it was expanding into Ireland. For a long time the banks have made easy money bundling mortgage protection and home insurance when they sell a mortgage. Yes, you are required by law to have mortgage protection to pay the debt if you die. No, you don’t need to buy it from your banks. Going elsewhere can save you as much as 50% of the cost. Lion.ie is an expert online option for this one. This one should be obvious… you’re on the Moneycube site after all! In contrast Moneycube – or any independent financial advisor – can offer many more options than the banks, from numerous providers. As you might expect, that also leads to more competitive and open pricing. The options for a non-bank credit cards and loans improved earlier this year when Chill entered the market. Backed by Avantcard (formerly known as MBNA, who also supply cards directly). Now these cards are still a very expensive way to borrow money (APR is 22.9%). But Chill does offer a 100% online application process, including instant approval in principle. The tide is turning for Irish banks. Moneycube believes the best bank in Ireland isn’t a bank at all. Instead, we’re now able to access specialist providers for each banking service we require. The banks, if they’re lucky, may remain as a platform to access these services. We’d love to get your suggestions on other options to replace banks – we’ll be updating this blog as the story unfolds.